I was just watching CCTV where Sa Dingding showed up. 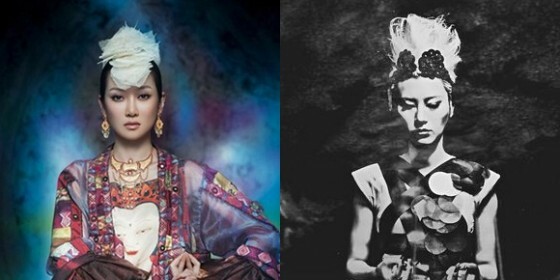 Her Harmony album was one of my faves last year, and revisiting Ha Li Li I thought she’d be perfect for a collaboration with Laure Shang with Love Warrior – which, at this moment, is one of my fave tracks of 2011. I made a poll on Weibo (first one ever!). Divided on whether or not buy the Monkey Majik Best collection because the album doesn’t have the oh-so-sweet Forever version with the kiddos and the old people. As if I could hate rainbows and puppies! Then there’s Mavis Fan 1999 album, I Want Us to Be Together – so SO freaking-tastic. Frak! This type of albums is what makes me wish I could understand Mandarin, and makes Chinese music all sorts of awesome.